As the saying goes: everything old is new again. Whether it is trends in fashion, styles of music, or even the food and drink we put in our bodies (the “Paleo diet” is from how long ago? ), our society has an interesting penchant for liking something, forgetting that something for a while when newer and flashier somethings come along, and finally rediscovering that something and saying “y’know, this something is actually pretty cool.” Even though a timeless work of fiction – such as a Jane Austen novel – is really never truly forgotten, sometimes it does take an infusion of a new idea to bring a classic “back to life,” as it were. Ironic, then, that the catalyst to reanimate wide-scale interest in Austen’s bourgeois-eschewing “Pride & Prejudice” is a creature that is, by its own nature, reanimated in and of itself: the zombie. Yes, the separate components of Pride & Prejudice & Zombies may not break any new ground on their own, but when these two disparate pieces are “mashed up” together, they become much like Paula Abdul and MC Skat Kat, with opposites attracting in the most delightfully random of ways. 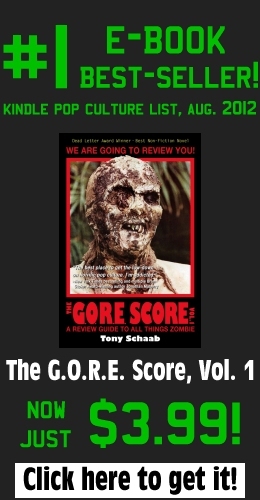 The film is based on the 2009 novel of the same name, which itself was created by author Seth Grahame-Smith inserting scenes of zombie mayhem directly into Austen’s original text (score a win for the laws of “public domain”). As the plot lines for both go, zombies roam the countryside in Regency-era England, the result of an unwelcome plague brought to England by heavy trading with the rest of Europe and the Orient. Elizabeth Bennett and her four sisters live in the English countryside, doing their best to maintain a semblance of daily normality with their parents; in this world, though, one must balance manners and social graces with the ability to defend oneself from “the stricken,” and as such, the Bennett sisters are all highly trained in Chinese warrior defense. The arrival of a rich, young bachelor to the area sets off not only the need for the family to be social and presentable, but also an uptick in the area’s zombie activity. It seems that trouble may be brewing for England (and the world at large); can the girls balance a social calendar and the possibility of true love with the ever-increasing undead threat? All in all, Pride & Prejudice & Zombies is an entertaining film – deliciously irreverent and a great mix of high-brow presentation and everyday humor. I would stop just short of calling it a “must see” for zombie fans, however, but don’t let that stop you from shambling out to the theater and checking this one out.